Robin can’t sit still. She’s always fidgeting with something, chewing on her shirtsleeves, getting up from the table. What’s going on? Max is smart and interested in learning, but refuses to follow classroom rules and is sometimes aggressive with classmates. What’s going on? James loves lining up toys, hums continuously, hates getting messy, and has a meltdown when there's a change in routine. What’s going on? It's reasonable to immediately consider diagnoses such as ADHD, OCD, or autism. Yet sensory processing ability—the way a child perceives and uses sensory input, whether it’s taste, touch, smell, sight, sound, or movement—significantly influences how a person feels and functions. Sensory challenges can masquerade as or accompany other conditions, clouding the clinical picture in terms of diagnosis and intervention. 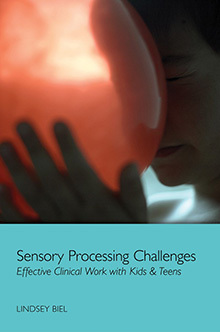 Understanding sensory processing challenges is crucial to treating, teaching, or parenting a person of any age. Sensory issues are gaining attention as a hallmark of autism. Yet many people who aren’t autistic struggle with sensory issues. They may have unusual reactions to sensory experiences most people find unremarkable such as an aversion to bright lights, textures, and certain sounds. They may struggle with balance, coordination, and dexterity due to poor body awareness. They may become easily overstimulated and overwhelmed by life's constant barrage of sensory input and tune out or act out in response. That's why it's essential for clinicians to understand what sensory challenges look like, how they relate to other mental health disorders, and how they are best treated. Learn about sensory issues ranging from auditory hypersensitivity and tactile defensiveness to impaired multisensory processing. Understand how sensory issues drive behavioral problems and their role in psychiatric and developmental diagnoses. Recognize triggers and patterns to proactively handle self-stimulatory behaviors as well as sensory meltdowns. Implement therapeutic sensory programs and environmental modifications to help children feel and function better. Increase client, family, and school understanding of sensory issues and ability to communicate sensory challenges and strategies. and better able to provide comprehensive care. Filled with clinical insights, real-life solutions, checklists, and illuminating case vignettes, this book sheds light on a critical aspect of child behavior, empowering you with the tools needed to help the children and teens you care about to become more comfortable and confident in their daily lives.